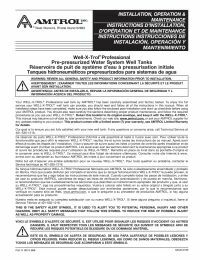 The Well-X-Trol WX-101 in-line well tank delivers unparalleled performance and longevity, making them the most recognized brand on the market. 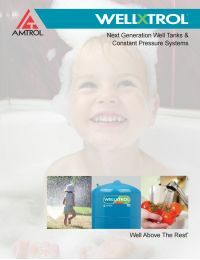 With its sealed air charge and unique water chamber design, Well-X-Trol is the choice of professionals. WX-101 now comes standard with Tuf-Kote indoor/outdoor coating technology. This coating allows the well water storage tank to withstand the harshest environments, giving you years of worry-free service.